Kashkaval, the ancient Balkan favorite, translates most simply as “yellow cheese” and is said to have derived its name from Caciocavallo, one of the oldest cow’s milk cheeses of Southern Italy. 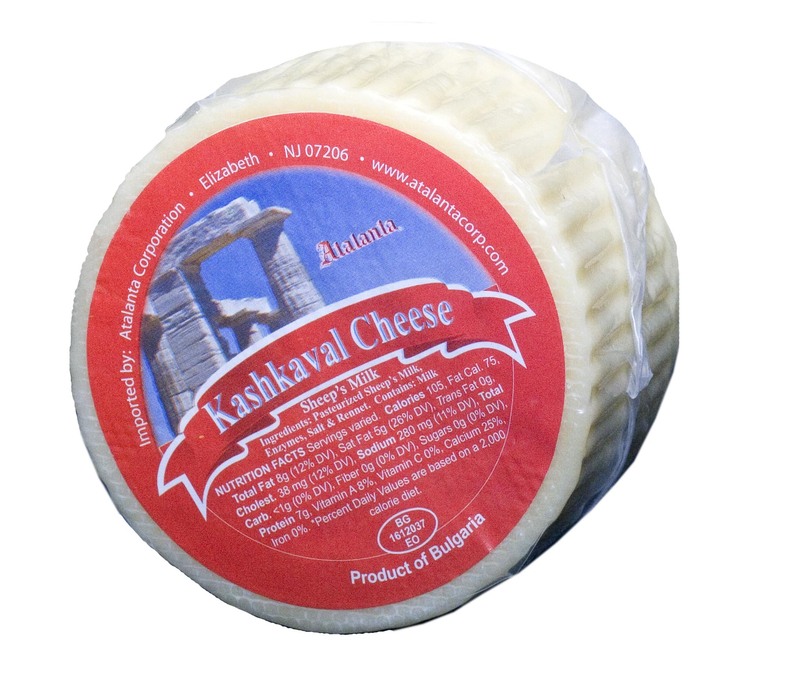 Kashkaval is also known as the Balkan cheddar due to having similar, widely appealing flavor characteristics to cheddar cheese. Atalanta’s Bulgarian ewe’s milk Kashkaval follows traditional methods directly to the mild, tangy and nutty taste that has made this pasta filata cheese so popular throughout the Mediterranean and beyond. Pasta filata is a cheese family distinguished by steeping curds in hot whey or water for several hours during the production process. Atalanta Bulgarian Kashkaval is matured for about six months to arrive at its hard texture and signature slightly spicy profile with distinctive olive oil notes. Kashkaval will retain its form when heated, rather than melting, and with further aging will become a great grating cheese. Application: Perfect served with olives on cheese trays and for snacking. Kashkaval is also ideal for sandwiches, cold or grilled, and for pan-frying in olive oil and crushed garlic. Use it in salads, lasagna or on pizza. Pairing: A full-bodied red wine, such as a Merlot or Shiraz, complements the spicy notes in Kashkaval. Del Destino’s White Quinoa is cultivated from Peruvian wheat fields and can be substituted for rice or couscous in any culinary application, immediately elevating the dish’s amino acids, calcium and iron content. 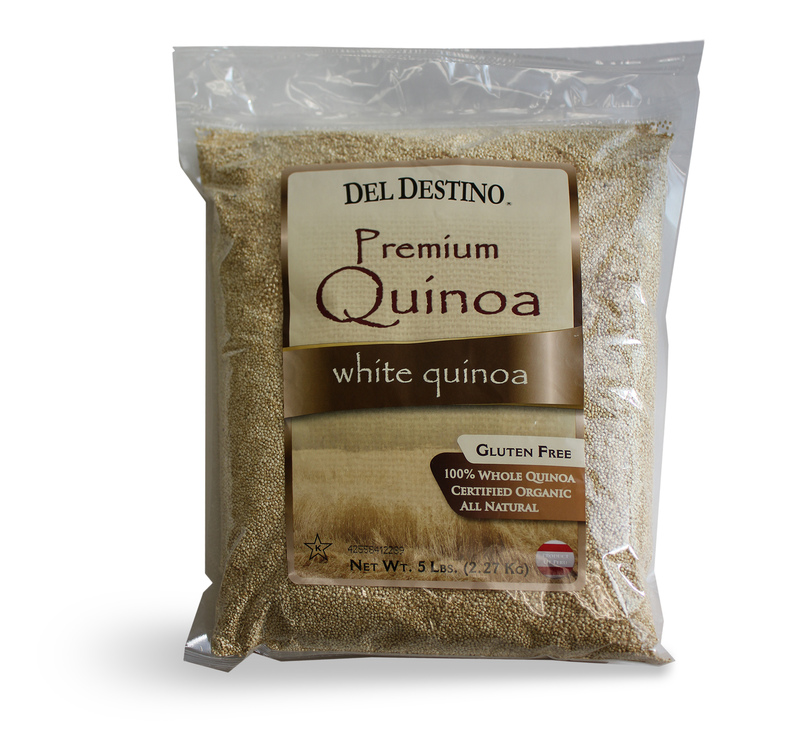 Easy to prepare and naturally gluten-free, Del Destino White Quinoa has an earthy flavor when cooked and is ideal for salads, soups and stews but also adds a nutritious, delicious twist to desserts and baked goods.